Could Android apps be making their way to Windows 10 Mobile? 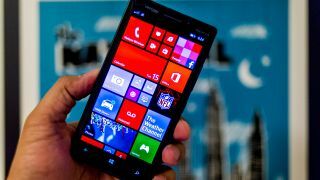 One of the biggest complaints about Microsoft's Windows Phone operating system is the lack of apps compared to iOS and Android, but it looks like Microsoft is trying to rectify this by bringing Android apps onto its own platform. Rumours have been circling for a while that Microsoft was at one point looking at how it could make Android apps work on Windows 10 Mobile, and Neowin is reporting that the Redmond company is once again testing ways to make this happen. According to multiple sources within Microsoft, there are already a number of Android apps running on Windows 10 Mobile, though it looks like earlier versions of Windows Phone won't be getting the apps. Work on making Android apps run on Windows 10 Mobile hasn't been officially endorsed by Microsoft, even though the company is very interested in its results. The reasons for Microsoft's reticence in the matter could be the legal ramifications of emulating Android apps on Windows 10 Mobile. While app developers might not mind, Google will almost certainly not be keen on the idea. Another thing potentially preventing Microsoft going public with its Android porting plans is that it's still trying to get its own app ecosystem off the ground. An announcement like this not only makes it look like Microsoft is conceding that it has an app problem, but it could also put off developers from creating native Windows 10 Mobile apps in the future. This means that we probably won't hear any official word on its plans just yet, but if Microsoft can find a way around the legal implications and threats to its own app ecosystem, it could be onto to a massive winner.